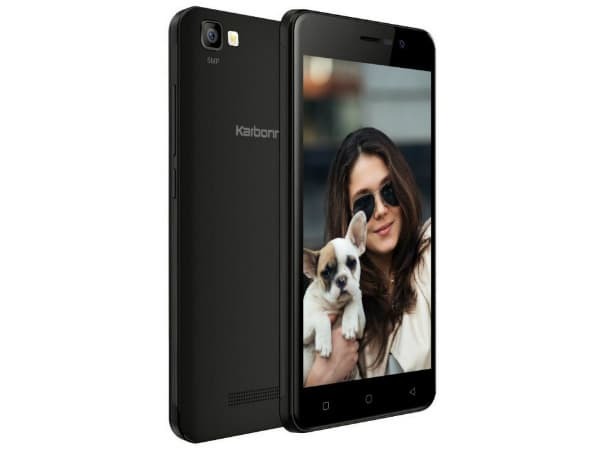 Karbonn has launched a budget series smartphone, K9 Smart Selfie with 4G VoLTE connectivity feature for an affordable price tag of Rs. 4,890. As is evident from its nomenclature the device is primarily selfie-focussed featuring an 8 MP selfie camera at the front with built-in Beauty mode and Night shot mode. The entry-level specifications include a 5-inch FWVGA 2.5D curved glass display with a resolution of 854 x 480 pixels. The smartphone runs on a 1.1GHz quad-core processor coupled with 1 GB of RAM and 8 GB of internal memory capacity further expandable to up to 32 GB via a microSD card. B/G/N, Micro USB, Bluetooth 4.0 and GPS. K9 Smart Selfie would retail in two variants of Black and Blue colors across the country. The device seems to be a good buy for a decent price especially for selfie-lovers, however it does not support a fingerprint scanner feature. Do let us know your thoughts about the device in the comments below.